Based on many visits to the area. Located along the river, the area was once used as a quarry and has now been fully reclaimed into an amazing green space. 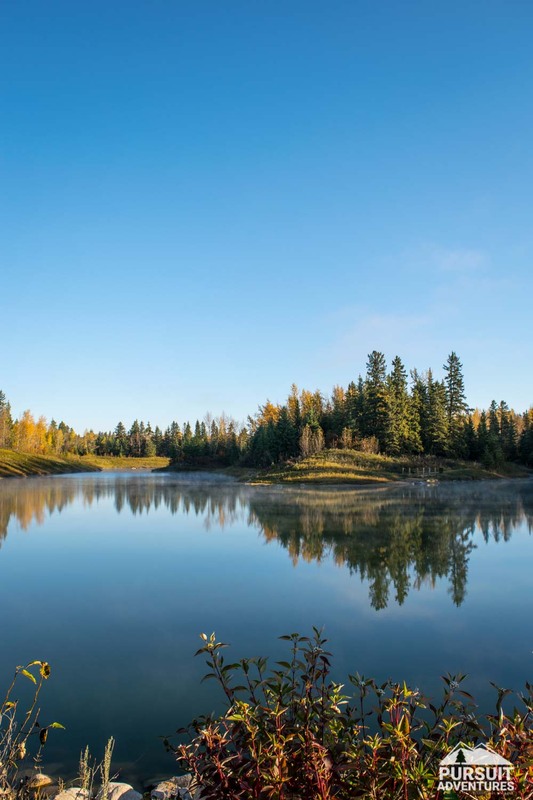 One of the larger nodes in the Waskasoo Park system, Heritage Ranch is a great starting point if you’re planning to explore the trail system throughout the river valley and a destination on its own with a network of over 20 km of official and informal trails. 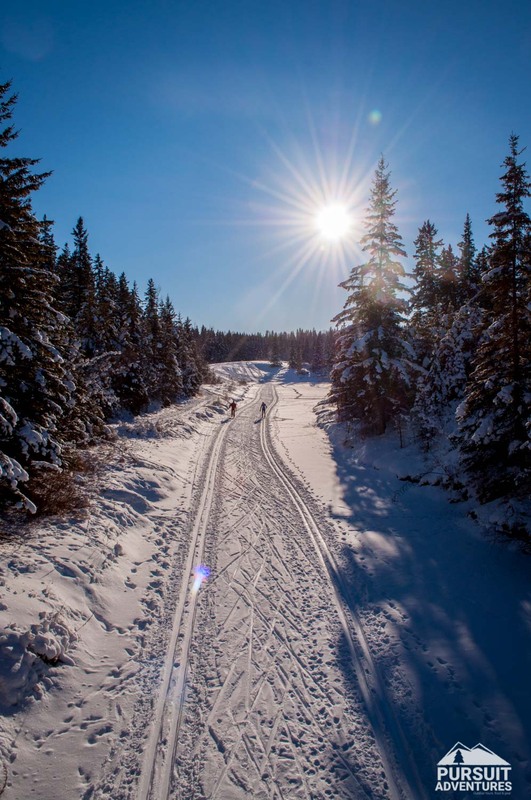 In the winter months explore the park on snowshoes, cross country skis or ride the single track fat bike trails. Make the most of summer with a stroll or run on the multi-use path, head out for a bike ride or hike on the trails along the river, take in a horseback or carriage ride and try your luck at the fishing pond. With over 20 km of trails, plus a connection to the river valley trails, there’s no shortage of options. Check out the trail guide below to plan your adventure. Once the snow fall, the ranch is one of the best option in town for an evening of snowshoeing. The local ski club also grooms a set of trails, linking all the way back to Great Chief Park and the single tracks are a lot of fun for a fat bike ride. The winter trail guide is available below. The ranch offers lots of equestrian adventures with pony, carriage and sleigh rides. For a more active challenge, test your skills on a game of ranch tracker. During the winter months, don’t miss out on their winter lights sleigh tours. Play at the playground near the parking lot of bring the kids along to the smaller playground near the fishing pond. Both options offer great spots for a picnic and fire, but keep in mind that firewood is no longer provided. On the lower ground you’ll find a stocked fishing pond.